Sat., Dec. 16, 2017, 8:21 p.m.
Gonzaga opened overtime with a decisive 11-0 run. Zach Norvell Jr. scored five points, Johnathan Williams had a layup, Killian Tillie chipped in two free throws and Josh Perkins added a layup as the Zags took control in the extra session. Junior guard Josh Perkins finished with 20 points, including five points and two assists in overtime. He also drained two 3-pointers in the final seven minutes of regulation. Perkins finished with seven assists and five steals. Junior forward Jeremy Jones only played 12 minutes but he helped turned the momentum late in regulation. 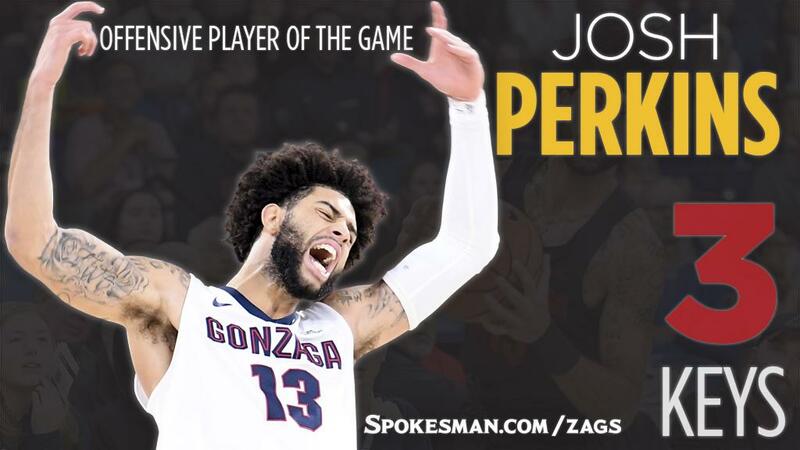 Jones did a great job at the front of the press that forced UND into a few costly turnovers that the Zags turned into baskets to help erase a 64-55 deficit. Published: Dec. 16, 2017, 8:21 p.m.